In order to scale a project, step 1. Initial Processing has to be completed. If the project has images with geolocation and the Scale Constraint is too different from the scale given by the image geolocation, the Scale Constraint will not be taken into account. 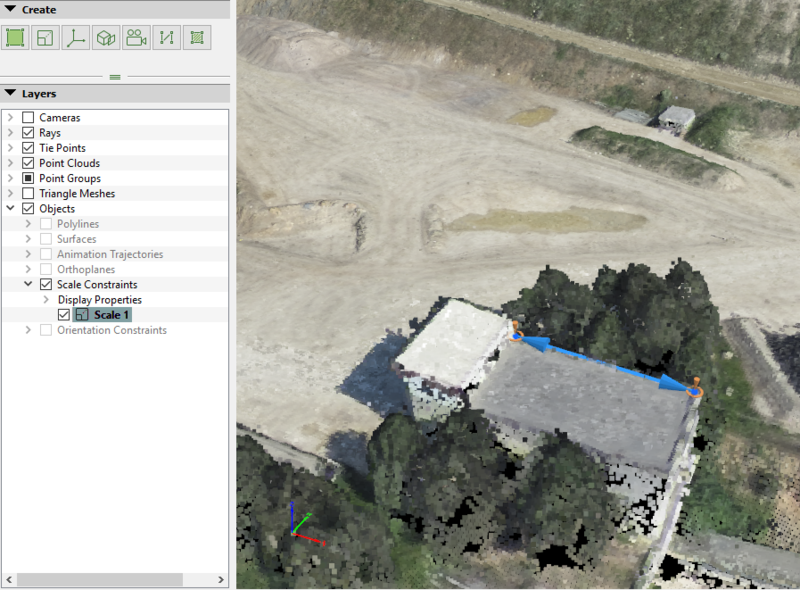 If the scale given by the image geolocation is inaccurate, the geolocation should be removed to scale the project. For more information about the image geolocation: Menu Project > Image Properties Editor... > Image Geolocation. 2. 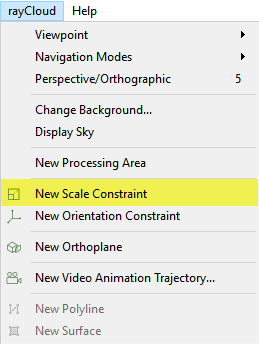 On the Menu bar, click rayCloud > New Scale Constraint. 3. In the 3D View, a blue circle appears beside the mouse. Left click to insert the first vertex. A Scale Constraint is defined by a line connecting 2 vertices. For each vertex a Manual Tie Point is created. When drawing the Scale Constraint, a vertex used by other Objects (Polylines, MTPs) can be reused by clicking on it while drawing the Scale Constraint. 4. Right click to add the last vertex and to create the Scale Constraint. 5. 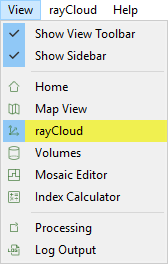 To make the drawing more accurate, in the 3D View, select the Scale Constraint and correct the position of the vertices in the images: How to edit Objects in the rayCloud. Note: For each vertex a Manual Tie Point is created. Each vertex that is marked on at least two images is taken into account in the Initial Processing if it is processed again or in the reconstruction if it is Reoptimized. 6. In the Selection section of the right side bar, enter the Initial Length. 7. (optional) Set the accuracy of the Initial Length in the box. 8. Click Apply to save the changes. 9. (optional) Add more Scale Constraints following steps 2. to 8. 10. Click Process > Reoptimize to scale the project.